Good stuff here. We really need a good review of this framework to make sure it is as good as it can be. 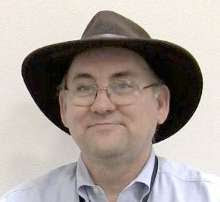 The ACM, CSTA, Code.org, CIC, and NMSI, along with lead states, districts, writers, and advisors, welcome you to engage in the third and final public review of the K-12 Computer Science framework. This review period began on June 8 and will close at 11:59 pm PT on June 29. Review a part or the whole - anything helps! 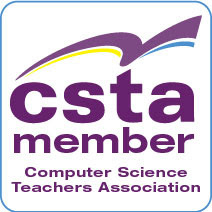 The CSTA standards use the K-12 CS framework as an input. The goal of the K-12 CS Framework is to describe a foundation for what all students need to know and be able to do in computer science. Instructions for individuals and facilitators of group reviews, an online review submission form, the review draft, and background materials are now available at http://K12cs.org/review. Watch the review period launch webinar recording on the review page. Learn about the development of the framework and how to provide an effective review. All of the comments from the March 18 - April 5 review period were considered and the writers are still working to incorporate the feedback. Check out the April blog post for information on revisions. Visit http://K12cs.org/review to start the review process and sign up for updates! Do We Teach Design for Everyone?